In the first of the scheduled televised debates, the candidates trade barbs, witticisms, as they showcase why they should win. 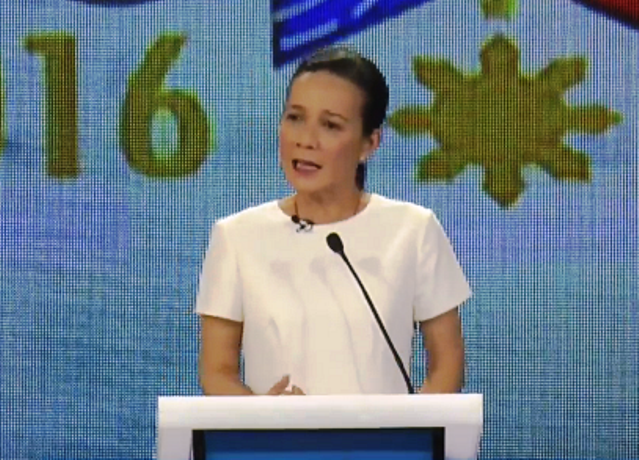 Manila, Philippines – The five presidential candidates for the Philippine national elections this May battled it out for the first time during the first PiliPinas Debates 2016 held at Capitol University in Cagayan de Oro City on Sunday, February 21. Vice President Jejomar Binay, Davao City Mayor Rodrigo “Rody” Duterte, Senator Grace Poe, former Interior Secretary Manuel “Mar” Roxas II, and Senator Miriam Defensor-Santiago tackled issues like agriculture and poverty alleviation, particularly in Mindanao, on top of the issues each one face as a presidentiable. Binay was the first one to be grilled, particularly about how he amassed his wealth and procured the lands that he owns. In his opening speech, Binay emphasized his humble roots and his numerous accomplishments when he was still mayor of Makati City. “Just because we were elected in office does not mean we can’t own properties. Most of them I inherited from my parents, and some were bought,” Binay said in Filipino. Related: Third time's a charm for Miriam Defensor Santiago? Duterte took some hits due to his aggressive demeanor, frequent cussing, and admitted womanizing. “I admit, when I become president, it will be bloody. As long as I follow the laws, I will continue to kill criminals,” Duterte added. The mayor of Davao City also promised to eradicate “criminality, drugs, and corruption in three to six months” if he wins the presidency. Poe, the candidate with the shortest experience in government, was asked if her “thin resume” was enough for her to win the presidency. “As a mother, I know what the needs of a family are—I may have a short term in government, but I’m not gullible,” Poe said. But Roxas’ lengthy track record in different government agencies was not enough to shield him from criticism. His leadership as secretary of the Department of Interior and Local Government in the wake of Super Typhoon Yolanda (international name: Haiyan) was put into question. “I was in Leyte for 16 day and I didn't do any politicking when I got there. I never let go of the people of Leyte until I knew the situation was stabilized,” Roxas added in Filipino. For the second round of the debate, the presidential candidates were asked how they will address poverty alleviation and the development of the agriculture sector, which is seen to be the key to inclusive growth in the country. Binay recommended modernizing agriculture through the enforcement of the Comprehensive Agrarian Reform Program (CARP). 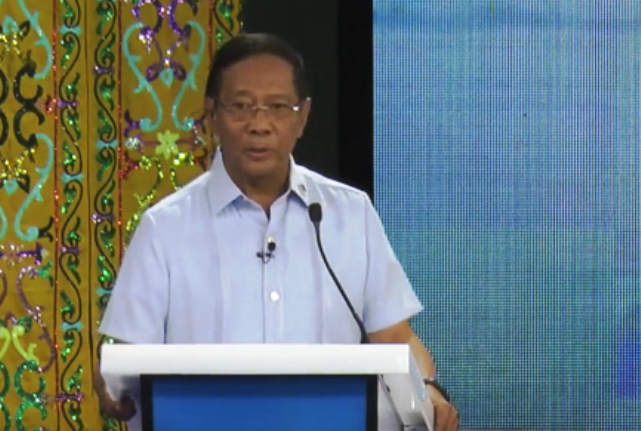 “We must attract investors to help us provide the infrastructure requirements for our farmers,” Binay added. Meanwhile, Poe suggested coming up with agri-industrial zones where the Department of Trade and Industry and the Department of Agriculture can work together. “With this, we can ensure our crops will be properly marketed—we need added value for our farmers.” Poe further discussed soil testing of lands and replanting coconut trees for better yield. 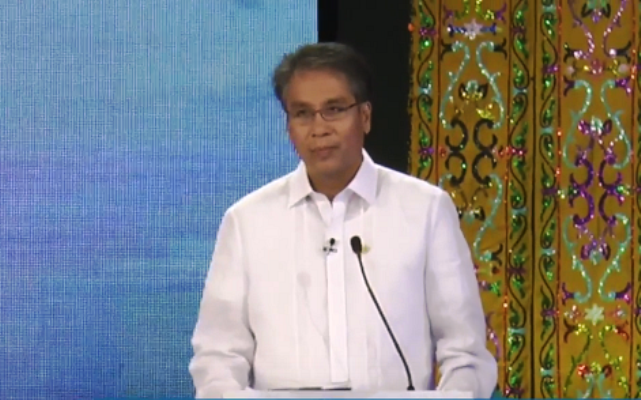 For the fishing industry, Roxas said affordable loans and new high-tech equipment must be given to fishermen. “These [projects] will help them earn higher income but, more importantly, infrastructure must be provided to better transport their goods,” Roxas said. But, for Duterte, a great project will turn sour if not properly implemented. “It all starts with implementation. We need to eradicate corruption,” Duterte said. “No president has ever abolished or reduced poverty incidence in this country. 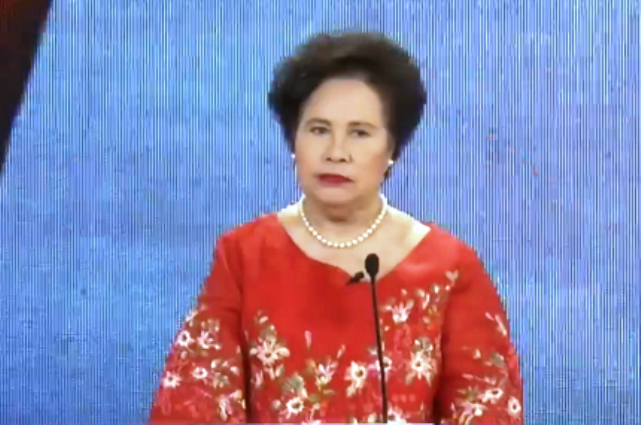 Where will we get the funds for all the promises they are making?” Defensor-Santiago said. 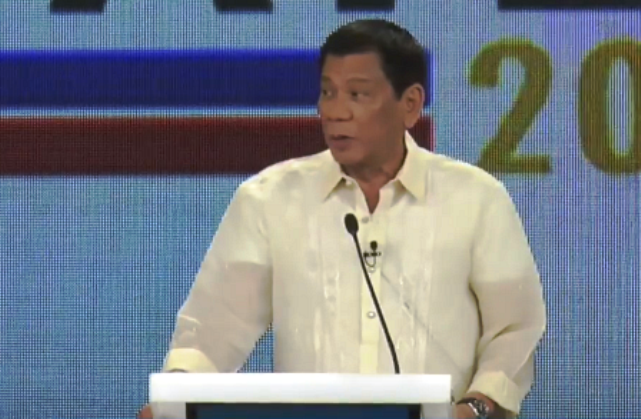 For the last round of the debate, the candidates were asked how they will help Mindanao, considered the country’s food basket, and its decades-long insurgency. Meanwhile, Poe vowed to provide 30% of the national budget to Mindanao alone to ensure its development. Things got heated when the anti-political dynasty bill was raised. Organized by the Commission on Elections (Comelec), the first PiliPinas debate was presented by its media parrtners, GMA and the Philippine Daily Inquirer. It was the first of its kind held in Mindanao, and the first one in 24 years that was moderated by the government agency. 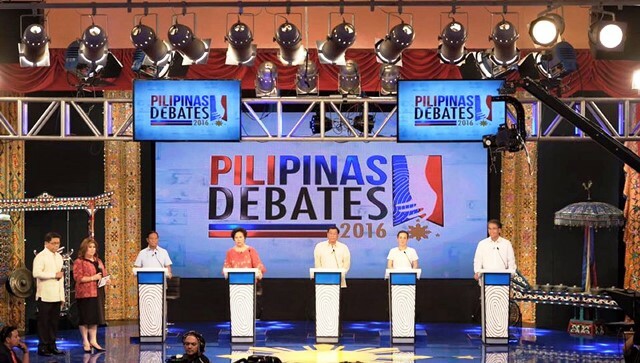 The next PiliPinas Debates is scheduled for March 20 in Cebu City.